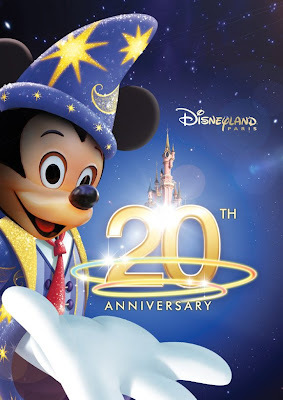 Mandas Disney Blog: 20th Anniversary and 'Dreams' Night-time Spectacular Visuals for Disneyland Paris! 20th Anniversary and 'Dreams' Night-time Spectacular Visuals for Disneyland Paris! This one is muuuch better :) I love the sorcerer-esque outfits Minnie and Goofy and Chip and Dale have on! And check out Pluto's collar! It's so cute! 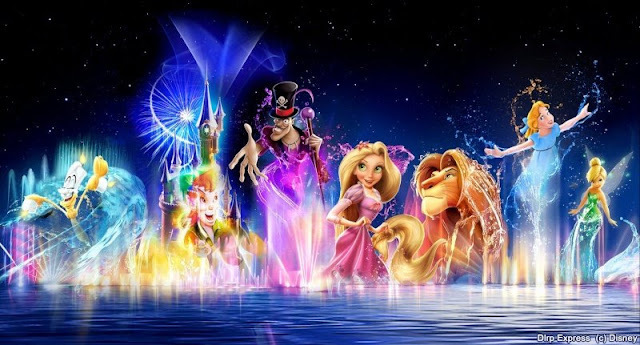 :) The mixture of classic animated characters with the 'New Generation' Pixar characters is nice to see too :) And once again, the colours are gorgeous! This one left me debating with myself. 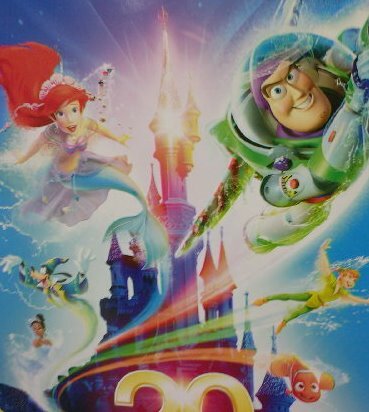 I love it because the colours are amazing and Peter Pan is in it! It doesn't give too much away so it made me wonder what it meant and got me super excited to find out! But on the other hand ... it's kind of plain. It could have been thrown together real quick by anyone who can work photo-shop pretty well. But then I saw these!! They're the first visuals (apart from the basic one above) that I've seen for the new 'Dreams' Night-time Spectacular coming to Disneyland Paris for the 20th Anniversary! They were posted on the Designing Disney Facebook page a few hours ago but seem to originate from DLPExpress! There was one thing I noticed right away in both visuals - the two turrets on the left side have sort of been pushed upwards - compared to the Castle in real life. I'm not sure why that change has been made, and I'm not sure if anyone will really notice. Do you see what I mean? Apart from that though ...These are UH-MAZING! I get goosebumps just looking at them! I would make these into canvases for my wall! lol! Goodness knows what out of this world show we're going to get to see next year! The Show should be very good but the only problem is capacity even though a lot of trees and grassed areas have recently been removed to make sure noone has an obscured view of the show. 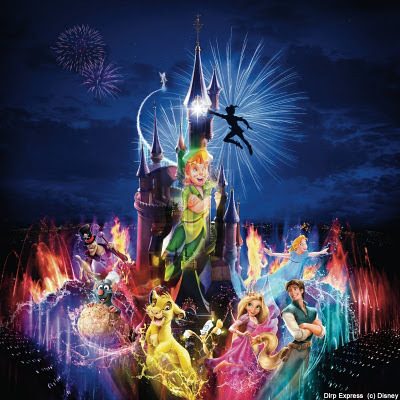 I was thinking about that too ... though I imagine crowds will be able to see the show from quite a bit down Main Street too, sorta like the fireworks? Maybe there will be more than one showing during the evenings too :) I can't wait to see how it turns out! 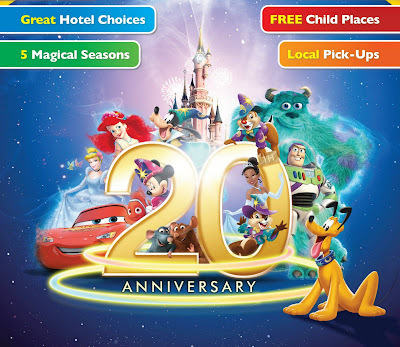 The artwork for that looks VERY similar to the Disney California Adventure World of Color show which is AWESOME!! Should be a good addition to DLP.